These no bake energy balls, also called bliss balls or energy bites, just changed my life. They are vegan, paleo, gluten-free and dairy-free. They have only 6 ingredients, they are super easy to make AND they are perfect to be added to your Healthy Meal Planning. Measure the ingredients and combine them in a food processor. Use your hands to shape the “batter” into balls, like displayed in the video. Yes, it is THAT simple! I was amazed when I realized how easy it actually is to prepare these no-bake energy balls. You just need a food processor and you don’t even need a large one. Also, since this recipe only requires 6 ingredients, you won’t be spending much time in the measuring process. Finally, if you like to have variety in your food and in how your food tastes -which is highly encouraged- this recipe is perfect because it will give you a base flavor from which you can build upon via a variety of different ingredients. I particularly like the energy balls coated with coconut. The energy balls coated with carob are also very good, but the powder quickly becomes absorbed by the fat. It works better if you coat them with chocolate, but they will taste a little more bitter. Is it cheap to make energy balls? The most expensive ingredient in this recipe is the dates— at least if you do your shopping in Barcelona and you buy organic food like I usually do. I’m sure that I could find cheaper dates which are not organic and if I opted for a variety other than Medjool. Give it a try with other kinds of dates and see if you notice the difference. I usually buy the dates in bulk and since I currently don’t consume many, I just buy the quantity I need for this recipe. This way, the cost will be lower and I won’t have extra dates sitting around in my pantry. Also, keep in mind that most of the ingredients can be replaced with others. For example, for this recipe I used walnuts, but you can substitute with Brazilian nuts, hazelnuts or any other type of nut you prefer or simply have at home. Same with the carob and the chocolate: you can use solely carob or solely chocolate if it happens that you have only one of the ingredients at home and don’t feel like buying the other. The same goes for the almond butter. Prefer peanut butter or tahini? Go for it! Just make sure to check the labels on the nut butter to ensure that they have no added ingredients. 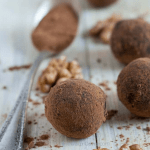 That’s the best part of this energy bites recipe – they’re so easy to make that all you need are 15 minutes of your day to prepare about 11 balls! So, if you have the habit of doing some meal prep on Sundays make them then, and if you know that you are going to have just one per day for the next week, freeze the rest. If you don’t do any meal prep, just remember to add the ingredients to your shopping list and once you have all the ingredients at home, go for it! 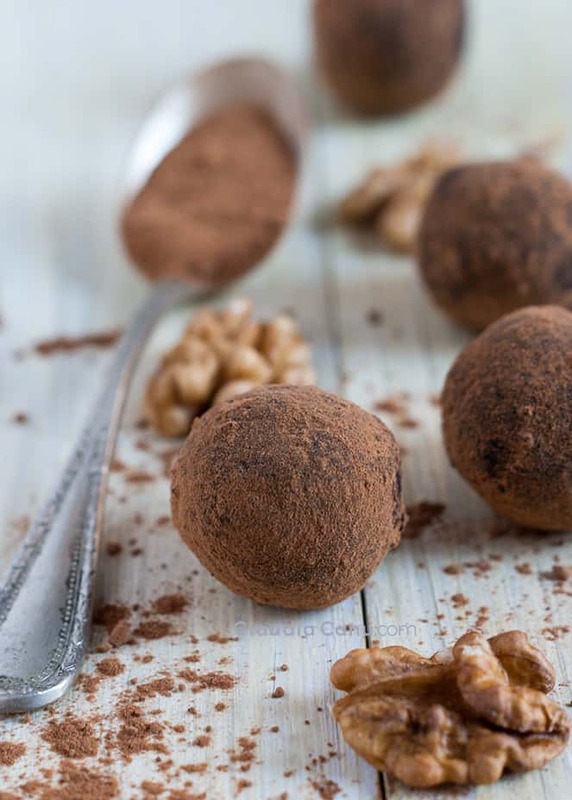 Another positive aspect of these no-bake energy balls is that you can store them very easily. You can use an airtight container, preferably made of glass, and you can keep them in the fridge for up to 7 – 10 days. You can also freeze them in the appropriate container and take them out whenever you feel like having one. Another option if you do weekly meal preps and you already have some bliss balls stored in the freezer, is to take out the amount that you think you’ll be eating that week and store them in the fridge. I love these energy bites because they are easy to bring everywhere. If you are bringing a few with you because you want to share them and let your friends know how amazing they are, you can store them in an airtight container and put them in your bag. On the other hand, if you only want to take just one with you, forget the container that will take up space in your bag, and use some parchment paper. You can wrap the bliss ball in parchment paper as if it were a bonbon. Keep in mind that the parchment paper will eventually absorb the grease, so, it’d be better if you also use a plastic bag or some plastic foil on top. Note: do not store them wrapped. It’s recommended to store them at home in an airtight container, preferably made with glass. Wrap them up only if you need to take them with you. Also note that if you place them on a wooden board, they will probably leave a stain. At least that’s what happened to my board, although they disappeared with the time. I used to work in an office and it was difficult to keep healthy eating habits. If you also work in an office, or you have at some point in your life, I guess you can relate to my pain. There was always an occasion to indulge in chocolate or cakes: someone coming back from a trip they took to another country (I do admit that it was actually nice to enjoy chocolate from Belgium or Switzerland) or just some homemade cakes people would bring in, just because. The worst, though, was when the company bought us breakfast. Supermarket-bought, hyper-processed donuts or croissants in plastic wraps that had been industrially produced. You know that they are trying to make you believe that they care about you, but hey! If you REALLY want me to think that you care about me, why are you feeding me this crap??? Sorry, I got a little off track. So, getting back to eating healthy at work, these bliss balls are just perfect for these occasions in which you have a free croissant staring at your face and you are beginning to salivate. Step 1: Do not look at the croissants! Or if you are not strong enough, just move them so that you don’t see them. 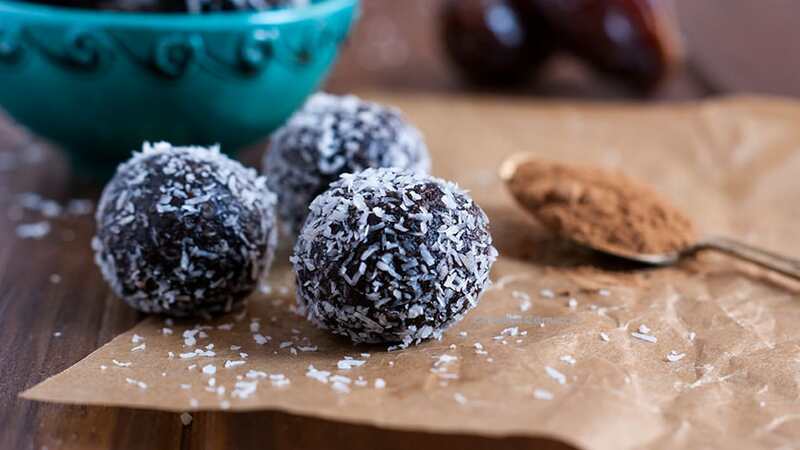 Step 2: Unwrap your homemade bliss ball and eat it mindfully, enjoying every single bite as you feel your taste buds slowly awakening, making you feel satisfied, full and with more energy. As already mentioned, these energy bites are the perfect snack to bring to work and eat when you are exposed to unhealthy food. In my case, they also helped me when I first started to work from home. 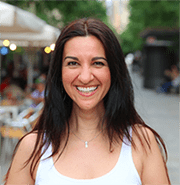 Of course, at the beginning, I was excited that working from home would give me the time and the space to prepare healthier snacks, but I soon found that since I was working on projects that I actually loved, I just didn’t want to stop, not even for a break. This led me to work for hours straight until I would realize that I was actually starving, which usually resulted in me opening the fridge and eating the first thing I could find. Now that I feel more connected with my body, I am more aware of when I am beginning to get hungry and since I usually like to eat something sweet in the afternoon, a bliss ball acts as the perfect snack to satisfy my sweet tooth. Ever since I discovered the option of wrapping up my energy balls though, I’ve started to bring one or two with me. Also, even if they are all stored in the freezer, I can take them out before leaving home and they will usually be defrosted by the time I want to eat them after a couple of hours (this depends, of course, of the room temperature at the given place). 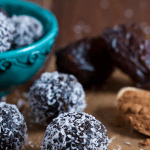 These no-bake bliss balls are also perfect after your training, especially if you are going back to work post-training. What I think is most important to emphasize is that you don’t need to eat these energy bites every day for the next year. What I have learned in some health-focused eating classes is that it’s always better to eat a variety of foods and to keep changing. Also, I have been focusing on these energy balls as being a healthy snack, but hey! No one is saying that you can’t also enjoy them for breakfast or as a treat after lunch or dinner, or even better– in your homemade brunch, especially if it’s a buffet or a picnic style brunch. What I think is important when eating these delicacies is to eat them mindfully. I usually take the first bite and slowly enjoy how the flavor hits my taste buds. The second bite is even more enjoyable! It wasn’t easy to stop adding sweeteners to my coffee (read as specialty coffee) or tea but eventually I got used to it. However, it’s obviously more difficult to create desserts, snacks, breakfast, or sweet brunch recipes, without any added sugar. 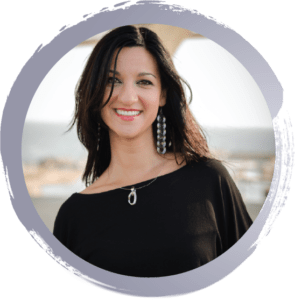 At the beginning, I tried every different type of sweeteners, such as agave syrup or stevia, and as I was able to get more and more information about which sugar is best to use, I simply switched. I haven’t read many studies about the different types of sugar, but in one of the courses I took, they recommended panela, which is an unrefined whole cane sugar. I also use maple syrup and raw honey. My choice is basically to use the most natural and less refined sweetener. I had tried dates before but I never felt enthusiastic about the taste, not even when I used them in other recipes and mixed them with more ingredients. Until I finally found out about the Medjool dates. They are usually bigger than other dates, softer and, most importantly, sweeter! That’s why they are perfect as a natural sweetener, being a great alternative to any kind of sugar. What is great about dates is that they are packed with nutrients such as fiber, potassium, manganese, copper, B family vitamins, vitamin A, magnesium, and calcium. Since they also have a great amount of dietary fiber, they keep you full for longer, thus limiting cravings. Also, the natural sugar of dates works as an energy booster for our body. However, since a large amount of water has been removed, as with every other dried fruit, they contain more calories than fresh fruit in a smaller volume. Most of these calories come from the carbohydrates and sugar. For this main reason it’s important to eat dates in moderation and, if we do so, we will be able to receive the appropriate health benefits for our body which include decreasing cholesterol, regulating digestion, reducing triglycerides in blood, improving bone health, regulating hormone issues and low metabolism, helping in wound healing, and improving vision health and poor nutrient uptake. To sum up: eating Medjool dates in moderation satisfies your sweet tooth while providing the energy, vitamins, and minerals needed to maintain overall health. One of the 6 ingredients for these no-bake bliss balls is carob and I am aware that not everyone is familiar with it. Carob is a tree that grows along the Mediterranean Sea which produces big dark brown pods that contain seeds and a sweet and edible pulp. Once dried and roasted, the pulp is ground into a powder called carob powder. I have seen carob trees all my life, without knowing much about them. My mum once told me that after World War II, when food was scarce in Sardinia and carob trees were abundant, they began introducing carob to their diets, since it was largely available. As a powder, it looks pretty similar to chocolate but it has a unique taste in that it is less bitter and is characterized by a roasted and naturally sweet flavor. It is said that carob is a healthy substitute for chocolate because it has a lot of fiber, antioxidants, low amounts of fat and sugar, no caffeine, no gluten, has twice the amount of calcium compared to cocoa and is an excellent source of vitamins and minerals. However, some people forget to point out that carob is high in carbohydrates. That’s why I prefer to not substitute the cacao for the carob completely but to mix the two instead- not only to achieve a mixed flavor but to also receive the health benefits from both. What I most like is that it tastes sweet and not as bitter as cacao does. Also, here in Barcelona, buying eco-friendly carob is much cheaper than purchasing raw cacao. I know that you might not be accustomed to using this ingredient, and if you don’t have it already at home, you don’t want to be stuck with it in your pantry alongside other single-use ingredients. Believe me, though, you’ll use it more than once. I was reluctant at the beginning but then I was able to use it in many other recipes such as pancakes, cream-based dishes, and brownies. Also, you can use carob powder or carob chips, depending on the recipe you are preparing. Can I make them in a different shape? Absolutely! Once you have prepared the “butter” you can give it the shape you prefer, like these square bonbons which appear in the video. In a food processor combine 5 dates (pitted), 7 walnuts and 1 teaspoon vanilla and pulse until it becomes a sandy-like texture. Add the rest of the ingredients: 1 tablespoon raw cocoa, 1 tablespoon carob powder and 1 tablespoon natural almond butter. Pulse a few more times until fully combined and of crumbly texture. With the help of a spoon, place some batter on your palm. Squeeze the batter with the help of your other hand’s finger and give the shape of a ball. Rotate the ball between your palms so that the batter is tight and the ball is spherical. Coat the balls with shredded coconut, carob powder or, if you prefer, chocolate (optional). You can also freeze the balls and take them out as needed. Wonderful recipes! That super easy plus good for your health food is one of the best recipes I’ve ever seen. Good for kids, moms who are taking good care of their health and those people who love desserts! I would definitely recommend all of these! I really love that these are vegan, paleo, gluten-free and dairy-free. I love my friends and all their kids seem to have some type of dietary requirement that is slightly different. What a great thing to make for them all! I am so happy this only has 6 ingredients are easy. Thank you! This is such a lovely recipe! 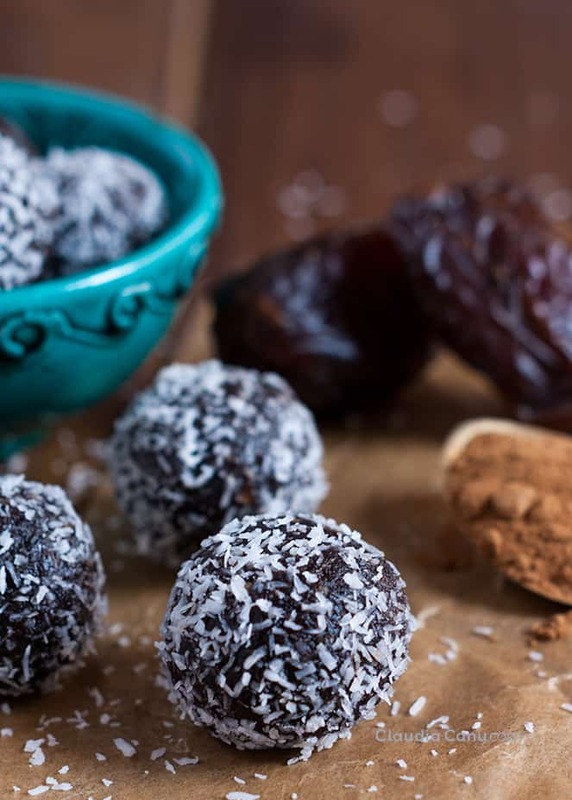 I think dates are great for making energy balls with and I especially love the fact that they seem a bit decadent but are actually a healthy choice. These look like truffles! I bet they’re even better. Thanks for the recipe! A wonderful recipe and like the different options. Energy balls is the best snack ever.I’ve used carob powder in cakes before, but never knew that it comes from pods. I love the recipe. I love energy balls and yours are really yummy and healthy. I also do not use refined sugar now so this is a must try for me. I hope you’ll love those as much as I do, Lee!